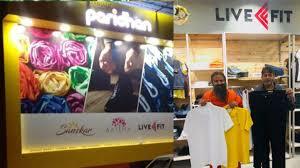 their first clothing store has been launched in New Delhi’s Netaji Subhash Place, a big business hub in North Delhi. Dhanteras is today, November 5th, which falls two days before Diwali. Buying new clothes utensils, appliances etc are considered as auspicious on this day. Way back in 2015, we had reported that Patanajli will launch their own clothing brand, whose speculative brand name was Vastram that time. As per reports, Bana Ramdev was pretty confident of giving a tough fight to established brands like Levi’s, Nike, Adidas etc, and provide cheaper, better quality ‘branded’ clothes to Indians.